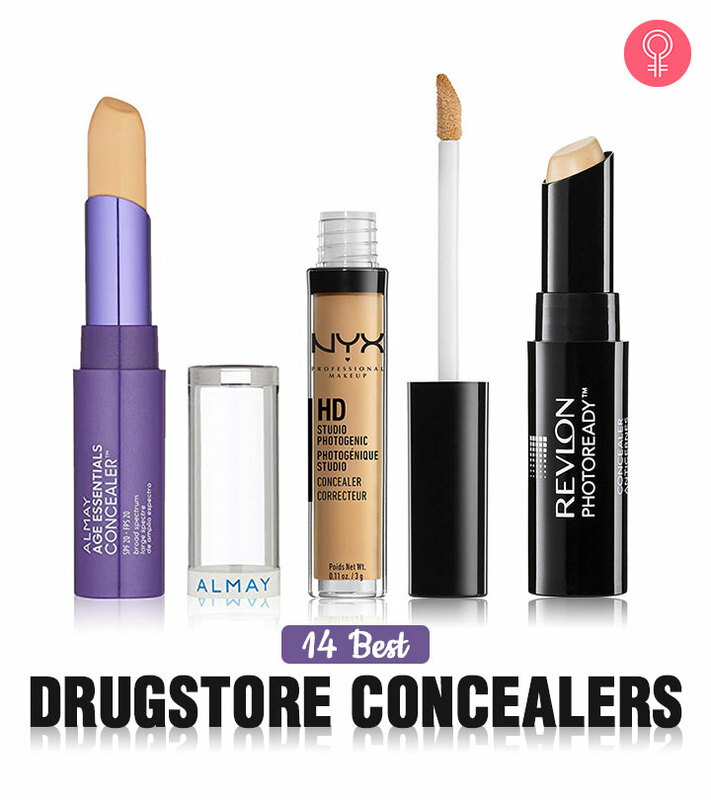 We have rounded up 14 concealers from drugstore brands with a cult-following so big, you’ll want to try them yourself. And there’s something for everyone, all under $10! P.S: If you think you need to spend a ton of cash on that pricey concealer to see actual results, think again. 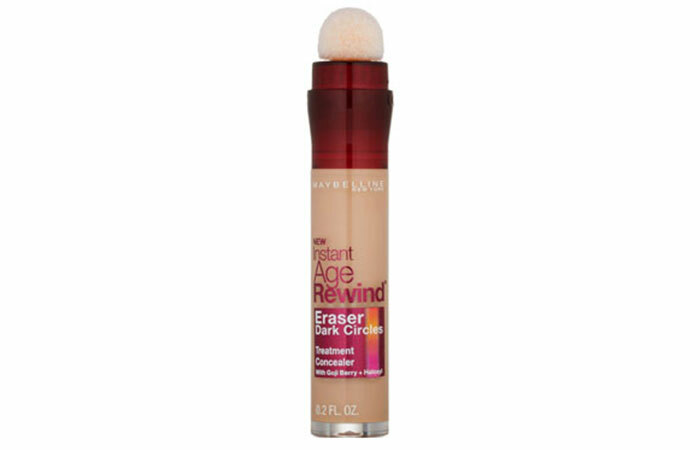 A favorite among both makeup vloggers and artists is the Instant Age Rewind Eraser from Maybelline. This concentrated formula features a micro-corrector applicator that helps erase dark circles and fine lines instantly. It is infused with goji berry and haloxyl that keep you looking fresh and radiant through the day. Find your pick from its range of 11 shades. 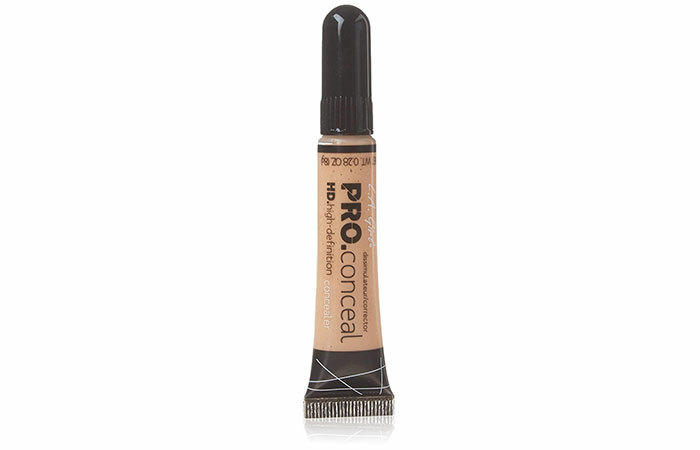 L.A. Girl’s Pro Conceal HD Concealer is easily one of the most popular drugstore concealers out there. Besides the fact that its formula is super high coverage, it also happens to be extremely lightweight and long-wearing. So, if you are on the hunt for a budget-friendly, creamy concealer, this inexpensive formula will not disappoint. It comes in 30 shades, and you can also choose a color-corrector from its range of 10 shades to use along with it. 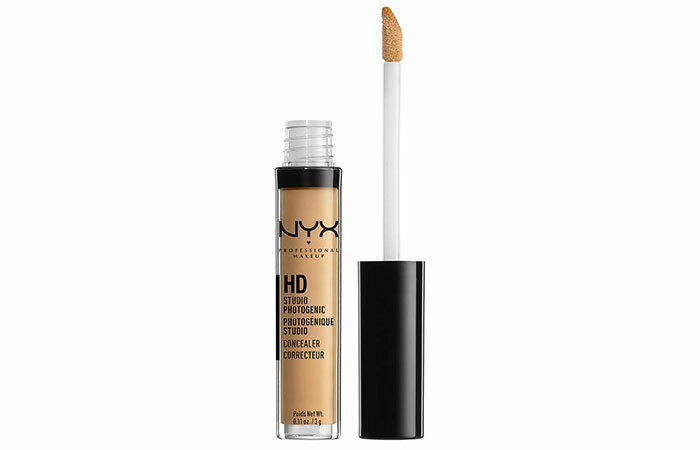 NYX’s HD Studio Photogenic Concealer effortlessly hides imperfections, discoloration, and under-eye circles without ever looking cakey or obvious. It comes in 23 shades, including 3 color correctors that help you achieve a flawless base. You can always count on this formula for beautiful, natural-looking coverage. 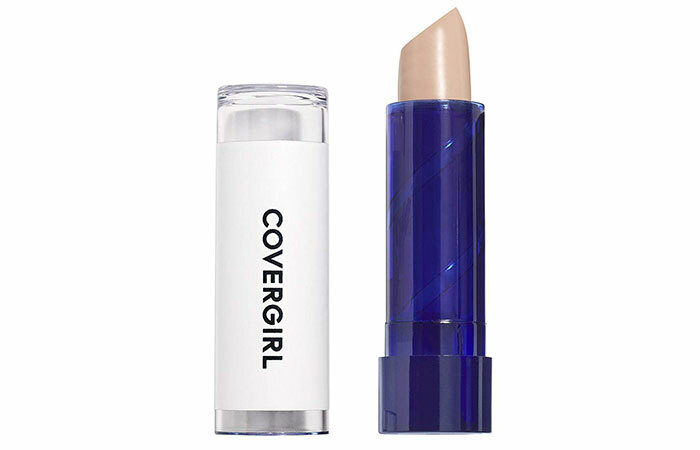 This creamy medium-coverage concealer stick doesn’t just cover imperfections, it blurs them out beautifully. It is aptly called the Photo Ready Concealer as its HD Filter technology reflects light while disguising dark circles and blurring flaws. Its angled, lipstick-like tip offers precise application. You can get this concealer in 6 shades. The True Match Super-Blendable Concealer by L’Oreal is designed to work with your skin to conceal and correct the under-eye area and blur imperfections. 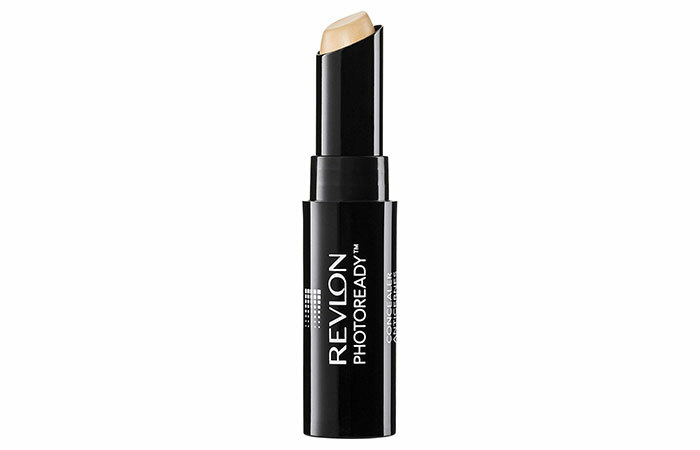 Its soft-touch cushion applicator and blendable formula provide smooth and precise application for a flawless effect. This formula is infused with haloxyl and glycerin to give your skin a more radiant look. You can find your pick from its range of 14 true-to-color shades to match every skin tone and undertone. This concealer palette from e.l.f comes in three variations – light, medium, and dark – to match a range of skin tones and complexions. Each palette contains four shades that you can blend and mix to find the perfect shade for you. 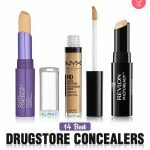 At its super low price point, this is certainly one of the best drugstore concealer palettes you can find out there. 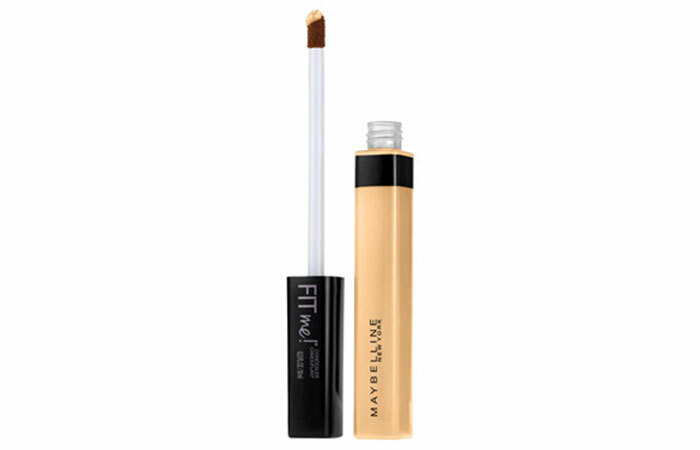 If you are looking for a full coverage formula, there is nothing better than Maybelline’s Fit Me Concealer. This oil-free formula does an excellent job of hiding acne scars, redness, and blemishes without looking cakey. So, if you are aiming to achieve a more even-toned skin, this liquid concealer is just what you need. It is now available in 12 shades. 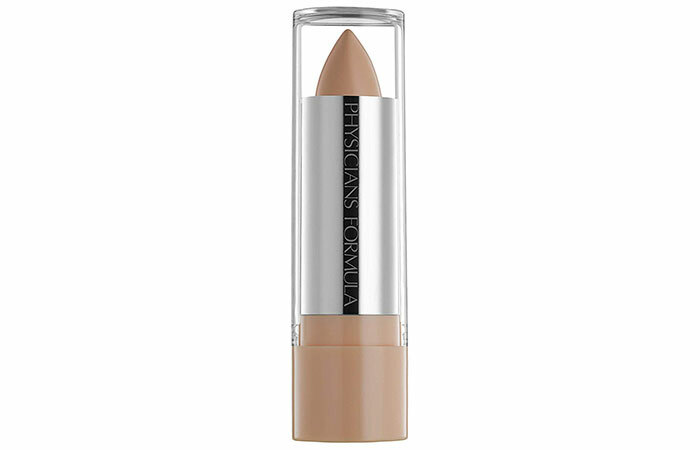 This ultra-lightweight, natural matte finish concealer is ideal if you have sensitive skin. It is made with hypoallergenic ingredients, and its gentle, creamy formula glides on smoothly for easy application. Coming to the shade range, its three shades are more suitable for light to pale skin tones. 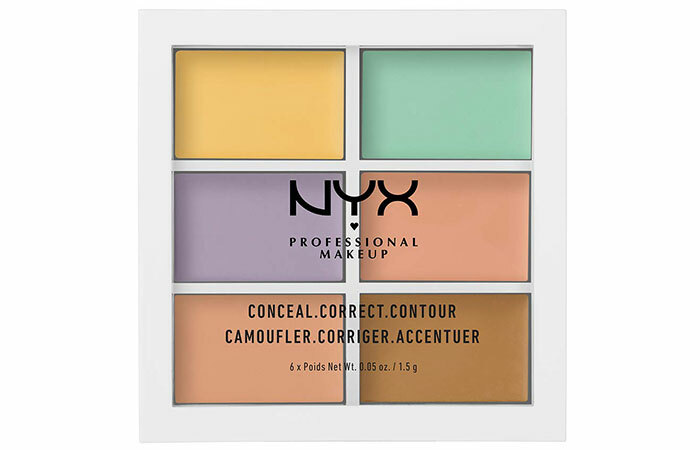 Treat your face to the ultimate concealer palette that includes six color-correcting shades. You can blend them to create your ideal shade without buying a bunch of correctors separately. Its lightweight formula glides on for an ultra-smooth finish and leaves your skin feeling soft and supple. Whether you need to conceal a little or a lot, this conditioning concealer with Aqua Current Science and botanicals like vitamin E, ginseng, and chamomile will help your skin look and feel radiant. It does not tug at your skin and always look extremely natural. 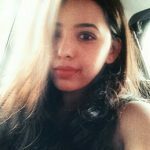 Choose your hue from its range of 6 shades. 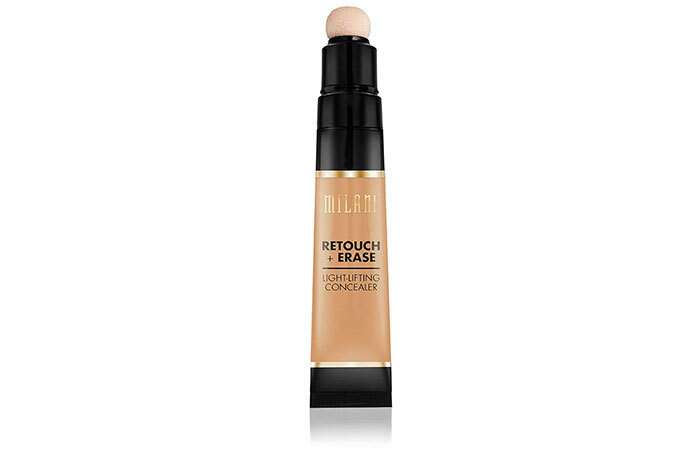 Milani’s Retouch + Erase Light-Lifting Concealer instantly erases spots, dark circles, blemishes, and imperfections with an added brightening effect. You can achieve flawless color-correction through its Light Technology much like a face-perfecting filter. Its mess-proof cushion applicator blends the lightweight, full coverage formula over your skin effortlessly. 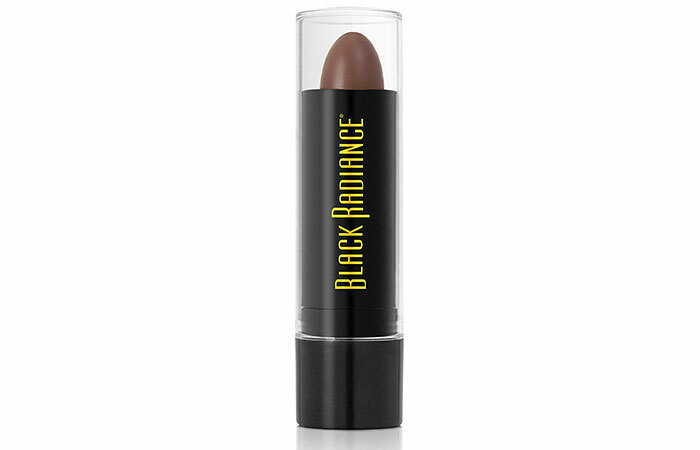 This concealer stick is specially made for women of color. It conceals imperfections, minimizes flaws, and covers small areas such as under-eye circles. You can choose your color from its range of 3 shades. 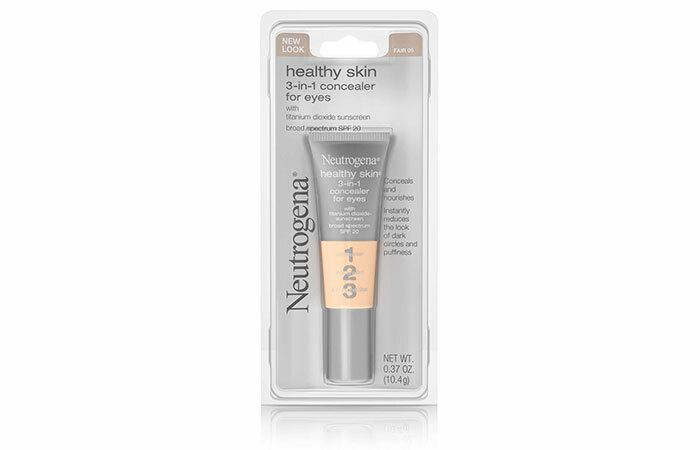 This 3-in-1 concealer from Neutrogena instantly reduces the appearance of dark circles, puffiness, and fine lines and helps protect the sensitive eye area with broad spectrum SPF 20 – all in one, easy step. Its ultra-blendable formula also provides natural-looking coverage without sinking into fine lines. This concealer is available in 4 shades. 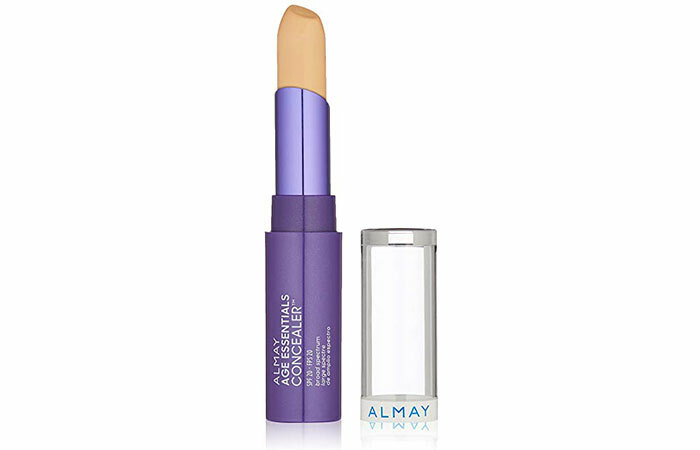 Almay Age Essentials Concealer is ideal for mature skin. It is formulated with collagen, peptides, and hyaluronic acid that help you achieve younger-looking skin. 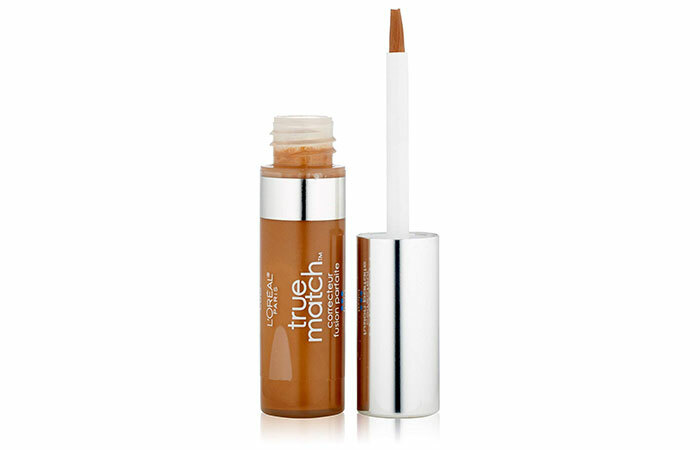 This concealer is super creamy and blends well into your skin without ever appearing cakey. It is available in 4 shades. That brings us to the end of our list. When it comes to choosing a concealer, remember that each one of us has different skin concerns and skin types. You have to make sure to seek one out based on what your skin needs. Have you tried any of these concealers? Let us know what you think about them in the comments section below.